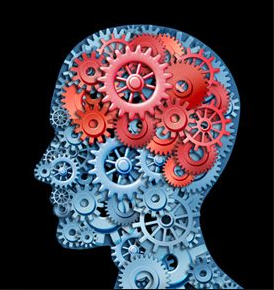 Inflammation could be the main cause of cognitive decline in those with Alzheimer’s Disease. This is according to a recent study by The University of Southampton in the UK. The study looked at the question ‘Does gum disease accelerate cognitive decline in the early stages of Alzheimer’s disease?’. It also involved colleagues from King’s College London who carried out cognitive assessments of 60 patients who had mild to moderate cases of Alzheimer’s Disease. The patients had their dental health examined and the blood samples as inflammatory markers. Following re-testing after six months, the patients with gum disease had a six-fold rate increase of cognitive decline. In addition, there was also increased systemic inflammation. Other studies also find that ingress of infection via the gums is a factor in other conditions, such as heart disease. According to Professor Holmes, the leader of the study, TNF-alpha previously measured the degree of systemic inflammation. TNF-Alpha is an inflammatory module in the blood. It correlates with the pace of cognitive decline in those who have Alzheimer’s disease. Perhaps what is most surprising to some however, are the 16 clinical trials and various studies that have tried to show a correlation between taking NSAIDs and reducing the risk of Alzheimer’s. Yet despite their hopes to show that NSAIDs slows Alzheimer’s Disease progression by targeting brain inflammation, many of the studies showed that the NSAIDs actually had negative side effects. While there are other factors that contribute to Alzheimer’s, the main culprit of the disease is inflammation. The good news is that Serrapeptase, Curcumin, Vitamin D3 and Ecklonia Cava can lower inflammation. Moreover, they support the immune system to protect against infection. By dissolving the inflammation, it’s possible to find considerable relief. It also helps in the reduction in symptoms, especially of cognitive decline and Alzheimer’s Disease. Thus, it is also the natural solution for anyone looking for a drug-free alternative to NSAIDs and other painkillers. Anyone who wants to follow a specific brain health plan can follow the advice outlined here in the Alzheimer’s Disease Health Plan. For further guidance and free personalised health coaching, please visit Good Health Coaching Centers (GHCC). 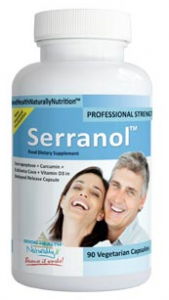 Serranol™ is a Serrapeptase formulation that combines Curcumin, Ecklonia Cava Extract and Vitamin D3. It can support healthy blood flow and circulation, making it ideal for anyone who wants to support their brain health in the long term. Alzheimer’s Disease Rehabilitation in 30 Days is by Robert Redfern of Naturally Healthy Publications. The book provides a naturally healthy plan for brain health and prevention of Alzheimer’s. La inflamación podría ser la principal causa del deterioro cognitivo en las personas con enfermedad de Alzheimer, según un estudio reciente de la Universidad de Southampton en el Reino Unido. El estudio examinó la pregunta “¿Acaso la enfermedad de las encías acelera el deterioro cognitivo en las primeras etapas de la enfermedad de Alzheimer?”. También participaron colegas del King’s College de Londres que realizaron evaluaciones cognitivas de 60 pacientes con casos leves a moderados de enfermedad de Alzheimer.